When disasters like wildfires, hurricanes and floods strike around the world, they make headlines. But such emergencies aren’t just far-off occurences. Disasters can happen anywhere, anytime — including your community — and they can be devastating. September’s National Preparedness Month, organized by Ready.gov, reminds us that we need to prepare ourselves, our families and our communities for disasters now and all year long. To raise awareness, APHA’s American Journal of Public Health is holding its third photo contest. Show us your best three pictures that communicate how your community is affected by disasters, how it's preparing and how it's helping others. 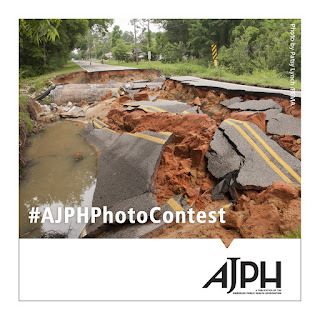 The winning photo will be featured in AJPH, APHA’s renowned public health journal. Entries are being accepted only through Instagram. 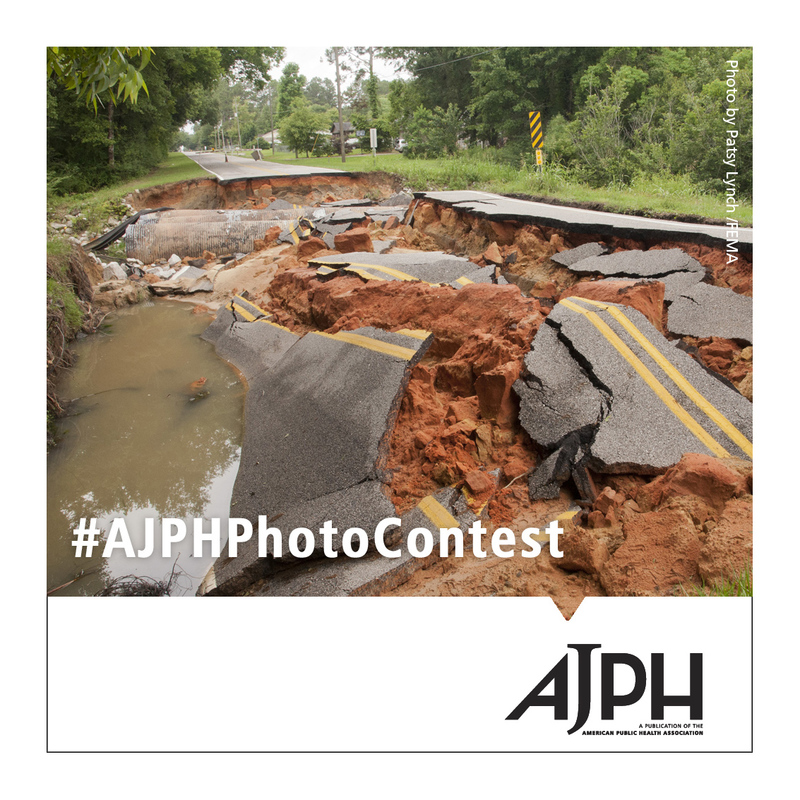 Submit your original photo now with the #AJPHPhotoContest hashtag and tag @americanpublichealth. The deadline to enter is Saturday, Sept. 15. Think you wash your hands the right way in the kitchen? Think again! Today’s guest post is by Adam Ghering, public affairs specialist with the U.S. Department of Agriculture’s Food Safety and Inspection Service. Have you ever seen someone handling food in a way that you would never do yourself? Maybe they were preparing raw poultry and then immediately handled lettuce without washing their hands. Or maybe they did wash their hands, but they dried them by wiping them on their pants. You would never do that, right? Then again, maybe there are things we all do that might increase our risk for foodborne illness. USDA’s Food Safety and Inspection Service recently completed an observational study in which participants were recorded cooking in a test kitchen to see if they handled food unsafely while cooking. • 97 percent of the time participants should have washed their hands, they failed to do so successfully. 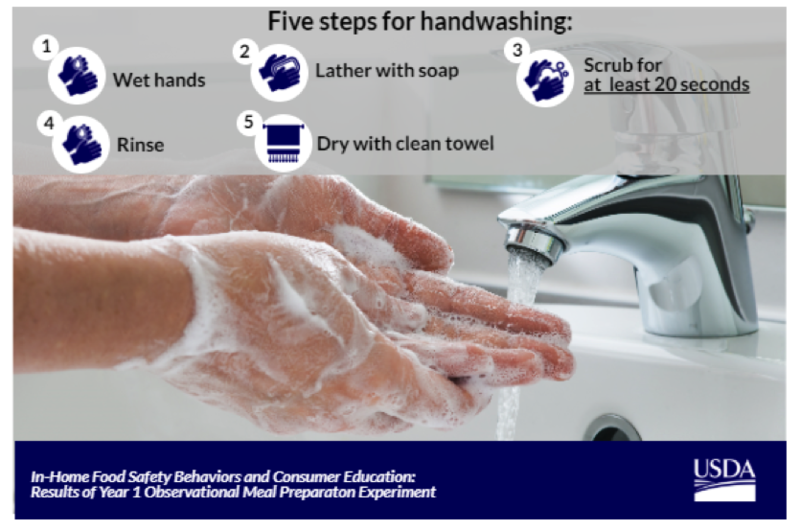 Of the 1,195 recorded points when hand-washing was necessary to control possible bacteria transfer, participants failed to wash their hands successfully more than 1,150 times. • 48 percent of participants cross-contaminated spice containers due to lack of hand-washing. Because they didn’t wash their hands adequately, harmless tracer microorganisms that act just like human pathogens spread throughout the kitchen. Campylobacter and salmonella, bacteria found in poultry products, have been shown to survive on food contact surfaces for up to four and 32 hours, respectively. • 5 percent of participants transferred bacteria to salads they prepared and would have immediately served if cooking at home. • 66 percent of participants did not used a food thermometer while preparing turkey burgers during the study. Some participants used color and feel instead to determine if the burgers were safe to eat. Using a food thermometer to measure the internal temperature is the only way to verify meat and poultry are safe to eat. • 45 percent did not cook the turkey burger to the minimum safe internal temperature of 165 degrees. Not cooking poultry to at least 165 degrees can lead to bacteria surviving the cooking process. The good news is that cooking food safely is in your hands and doing so can help keep you and your family healthy. Control the transfer of bacteria in your kitchen by always following the five steps of hand-washing after touching raw meat and poultry. Know that you have destroyed any bacteria in your meat and poultry by cooking to the proper internal temperature. Once you have cooked your foods, make sure to pack the leftovers up and refrigerate them within two hours. In hot summer weather when it is above 90 degrees, refrigerate them within one hour. For more food safety information, call the USDA Meat and Poultry Hotline at 1-888-674-6854, Monday through Friday, from 10 a.m. to 6 p.m. Eastern time, or email or chat at AskKaren.gov. It’s August, which is prime time for outdoor summer fun. Unfortunately, it’s also prime time for creepy-crawly bugs that want to feed on your blood. While you’re outside enjoying nature and posing for your perfect Instagram post, you'll need to protect yourself from ticks and mosquitoes and the diseases they carry. Let’s start with ticks: The biggest risk here is Lyme disease, and it’s no joke. It can cause fatigue, rashes and headaches and even spread to your nervous system if left untreated. To avoid it, wear insect repellant when you spend lots of time outside, especially if you’re in the woods or in a field. Wear light-colored clothing and socks so that you can see a tick if one gets on you. Check your body for ticks when you come inside, and be thorough. If you find one, don’t freak out: Carefully remove the tick with tweezers using these instructions and talk to your doctor if you have a rash, fever or concerns. Now for mosquitoes: Most people are very familiar with them, as they’ve bothered us at every summer barbecue ever. Mosquitoes carry diseases like West Nile virus, Zika, dengue and malaria, none of which you want to have. Before you head outside, put on insect repellent and do your best to wear long clothing that covers your arms and legs. If you’re traveling outside the U.S., be sure to use mosquito bite prevention, as mosquitoes in certain areas of the world may be more likely to carry harmful diseases. Use the Centers for Disease Control and Prevention’s travel guide to check risks at your destination. Have a safe and bite-free summer! Visit the Get Ready store for T-shirts, buttons, magnets and more! Time to roll up your sleeves and soap up: It’s Global Hand-Washing Day!